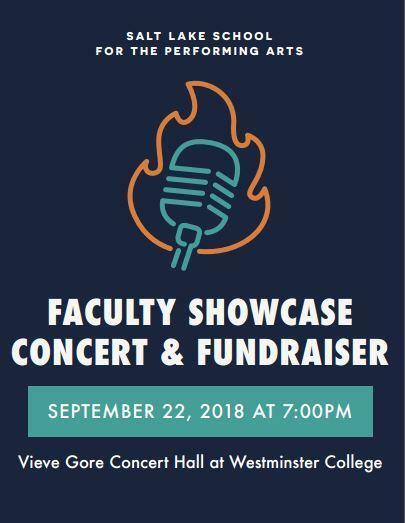 Come help SLSPA raise funds for the year by attending our faculty showcase performance. Members of the SLSPA faculty will demonstrate their artistic skills on September 22, 2018 at 7 pm. The concert will be held at the Vieve Gore Concert Hall at Westminster College. Tickets are $5 for SPA students and $10 general admission. Tickets are available through SPA's website and at the door.